First an additional turnout and a further track were implemented. 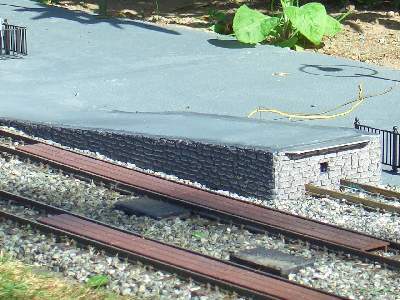 A simple ramp at the new track's end was built using a wooden shuttering and cement mortar. Pieces cut from a Pola decorative tile fitting the ramp's side and front walls were used for the facework. 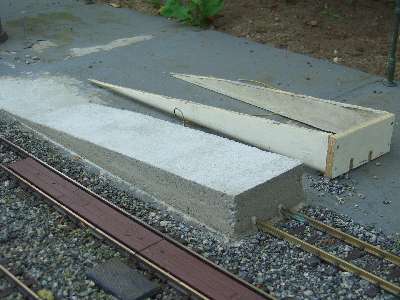 An aluminum angle was mounted for docking the flatcars. 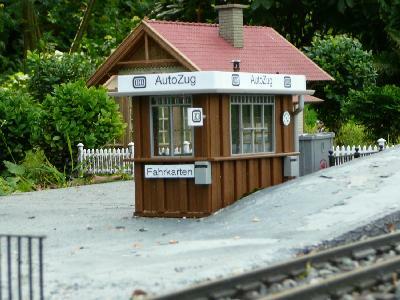 A little check-in terminal was placed at the motorail train's ramp. 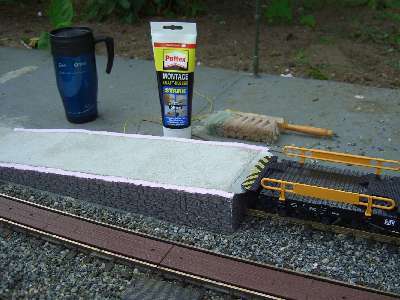 The ramp's surface meanwhile got a durable paint - after application of a suitable paint base.